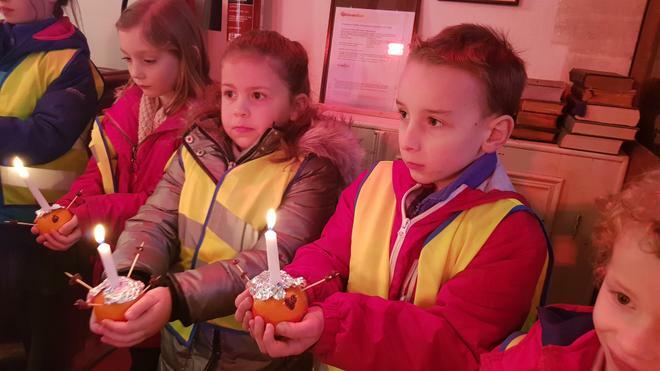 The children walked to Wherwell Church to mark the celebration of The Christingle. It was a cold yet stunning morning and children and adults enjoyed the beautiful winter scenery. 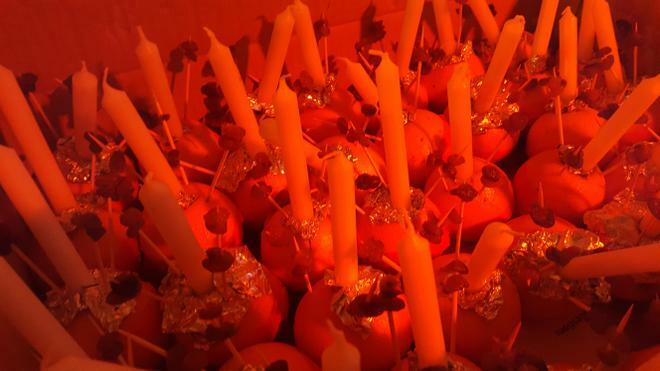 Huge congratulations to all the children for their impecable behavior, especially with the candles. 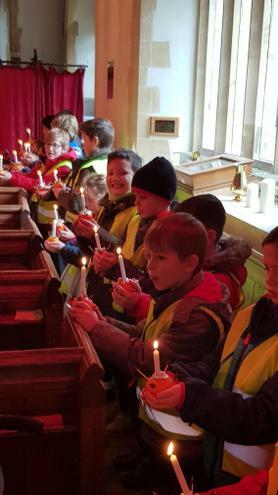 Thank you to the Reverend Jax and to all the parents and grandparents that walked with the children and helped us to keep them safe. 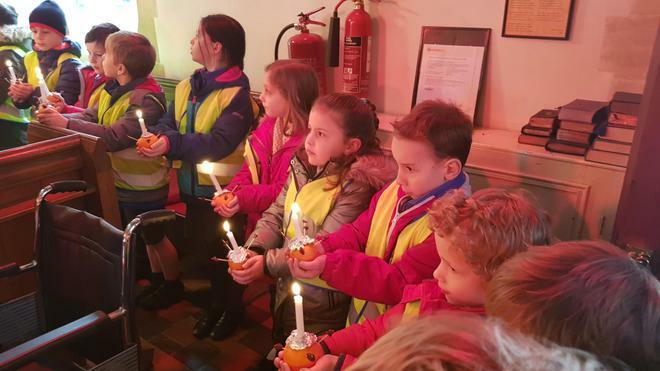 Thank you as well to the parents that attended this heartwarming ceremony.